Investing can be like a cross-country emotional roller-coaster ride to retirement. There are plenty of ups and downs, and plenty of unexpected twist and turns, but as long as investors stay the course, they will eventually reach their retirement objective. 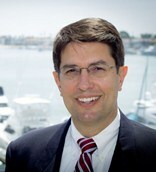 If not properly kept in check, however, emotions have the potential of sabotaging and/or delaying retirement objectives. In other words when the housing market was “euphoric” with demand in 2006, the financial risk was the highest, as millions of leveraged borrowers and homeowners painfully realized. Average investors suffered the reverse problem in early 2009 when “despondency” ruled the day and equity markets have marched upwards approximately +80% to +100%. Millions of investors bought real estate near the peak of the market and sold equities near the bottom of the market. Buying high and selling low is not a recipe for a retirement investment plan. 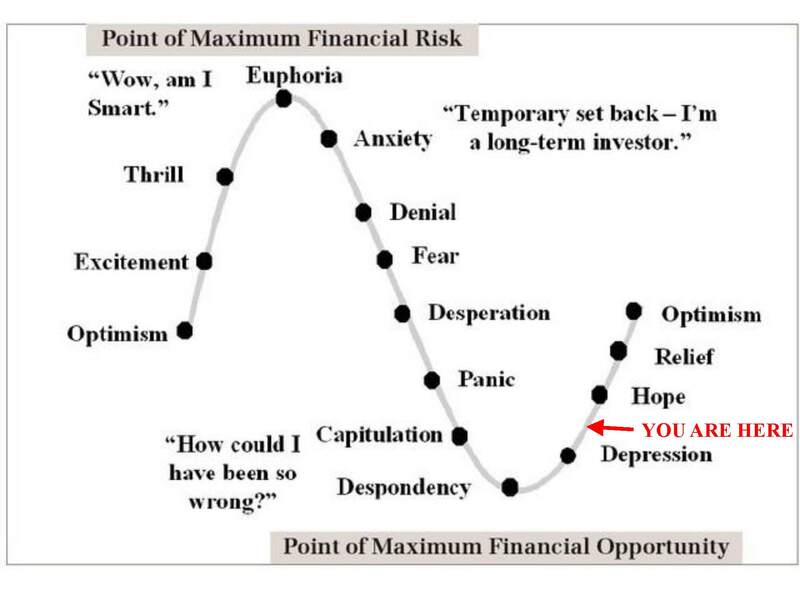 A more comedic representation of the sentiment cycle is provided below (CLICK TO ENLARGE). Laughable but spot on. If investing was so simple, Jim Cramer would be among Forbes wealthiest top 10 and Lenny Dyskstra would have his private jet back (see story). 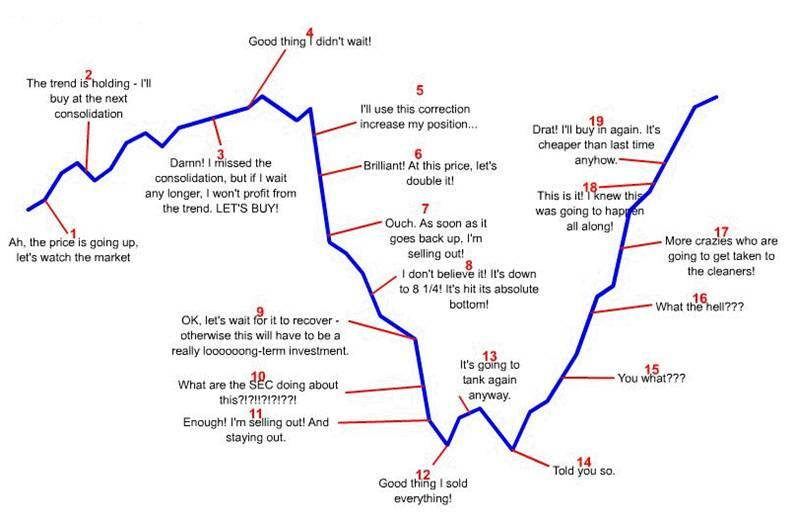 Where we are exactly on the sentiment cycle curve is debatable (my opinion is in RED on top chart), but if investors want to accelerate their path to financial success, they need to play the equity markets a lot more like a game of chess – anticipating future events not reacting to current ones. Too often, what appears as the obvious investment choice generates the worst long-term results. While on the investment rollercoaster, the choices that create the sweatiest palms are usually the best long-term decisions. Entry filed under: Behavioral Finance, Education. 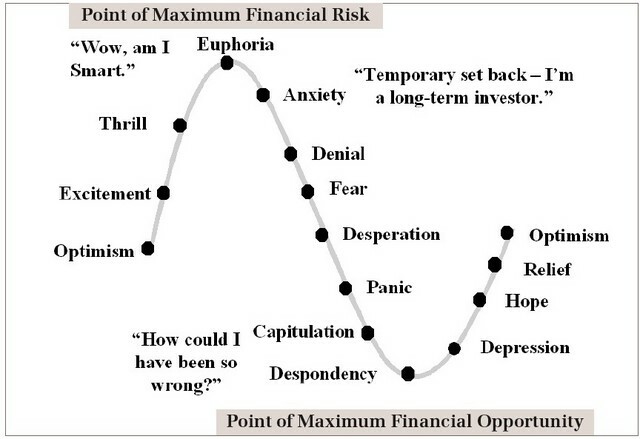 Tags: Barry Ritholtz, emotions, fear, greed, investing, sentiment cycles. Will the Fiscal Donkey Fly? Corporate Shockers: You did *#$@% to Steve Jobs?